The essential ingredient for successful insolvency proceedings and protection of creditors is that courts co-ordinate between them. The EU has come to the rescue in simplifying rules where companies or small firms suffer insolvency and their assets are located in a number of jurisdictions. Where insolvency proceedings relate to two or more members of a group of companies in different member states, under the new rules, an insolvency practitioner/liquidator must cooperate with other appointed liquidators/insolvency practitioners in the same group to the extent that such cooperation is appropriate to facilitate effective administration and is not incompatible with the rules applicable to each proceeding and does not entail any conflict of interest. There are various instances where Malta is used to serve as a principal location with a company holding various shares enjoying a controlling percentage in subsidiaries located outside Malta. This is a common feature both in the FinTech sector, funds, insurance, hotels and Igaming clusters. The rules contemplate that liquidators/insolvency practitioners and the courts should be under an obligation to cooperate and communicate with each other. Such cooperation is aimed at finding a solution that would give the best outcome across the group. It is interesting to note that this obligation may also entail the opening of “group coordination proceedings” after the liquidator/ insolvency practitioner has obtained necessary authorisation. A most important distinction in the new rules regards the establishment of the main place of business within the group. Thus, we now find that the presumptions that the registered office, the principal place of business and the habitual residence are the centre of main interests should be rebuttable. Therefore, one notes how in the case of a company, it should be possible to rebut this presumption where the company’s central administration is located in a member state other than that of its registered office. In the case of an individual who is not carrying on a business or professional activity, it should also be possible to rebut this presumption. An example can be quoted where it can be established that the principal reason for moving was to file for insolvency proceedings in the new jurisdiction and where such filing would materially impair the interests of creditors whose dealings with the debtor took place prior to the relocation. 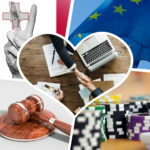 The new rules have been termed RECAST and this regulation contains a codification of the method of determination of centre of main interests (COMI). The establishment of COMI is a unique concept of RECAST. It determines whether the Recast Regulation applies to a debtor and the jurisdiction for the opening of main insolvency proceedings. COMI will be presumed to be at the registered office, but as stated earlier this can be rebuttable if the central administration is located in another Member State and one conducts a comprehensive assessment of all the relevant factors. For example, if it is proven that the company’s actual centre of management and supervision and of the management of its interests is located in another Member State, then the registered office presumption will not apply. This also applies if the move in registered office happens within three months of insolvency proceedings. 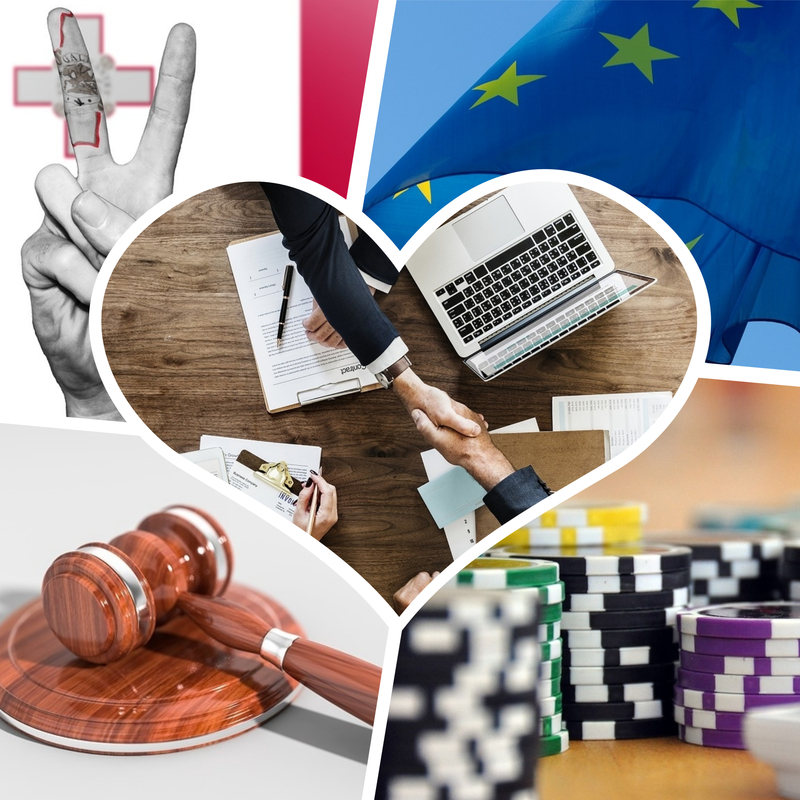 Readers may ask how and where can such regulations help local companies which are registered as a parent of various subsidiaries located outside Malta. How does “RECAST” works. First one must establish the three conditions necessary for it to apply. These are: 1) The proceedings must be collective. It means all creditors seek satisfaction only through these insolvency proceedings. 2) Proceedings may only be opened in connection to the debtor’s insolvency. It is expected issues of insolvency, pre-insolvency and reorganization proceedings all fall within the scope of Article 1 of Regulation 2015/848. 3) Proceedings should be under the appointment of an insolvency practitioner/liquidator. One of the salient issues of cross-border insolvency proceedings is to choose the applicable law. As it were, it may be challenging to determine the competent court for commencing insolvency proceedings when a business organisation is operating in a number of MSs and has premises, assets, and employees in multiple MSs. Article 3 of Regulation 2015/848 provides the solution. It states that the courts of the MS where the debtor’s centre of main interest (COMI) is located shall be the place of the ‘main insolvency proceedings’. As can be expected, the establishment of the COMI is the first step in establishing the competent court. In practice determining the COMI is not always obvious. Moving on we realise that it is the unsecured creditors who suffer most in such insolvencies. There are situations where there can be a conflict between the rights of creditors. The underlying principle of rights in rem vis-à-vis creditors as understood by Regulation 2015/848 is that third parties’ rights in rem need to be respected. The salient rights in rem granted to creditors are: i) the disposal of assets or income from those assets, particularly by virtue of a lien or mortgage, ii) demanding assets or their restitution from anyone having possession of them in conflict with the in rem creditors’ wishes, and iii) the use of assets. It is not clear from this provision how other creditors in various MS who may not be known will acquire knowledge about the relevant insolvency proceedings’ opening. To address this issue, the insolvency practitioner/liquidator or the debtor in possession shall request that notice of the judgment opening insolvency proceedings and, where appropriate, the decision appointing the insolvency practitioner/liquidator to be published in any other Member State where an establishment of the debtor is located in accordance with the publication procedures provided for in that Member State. The essential ingredient for successful insolvency proceedings and protection of creditors is that courts co-ordinate between them. Thus, a court shall cooperate with any other court before which a request to open insolvency proceedings is pending, or which has opened such proceedings, to the extent that such cooperation is not incompatible with the rules applicable to each of the proceedings. It goes without saying that a linchpin of cross-border insolvency proceedings is the appointment of a liquidator and the powers s/he has throughout the MSs. Naturally, it must be mandated that all debtor’s assets are identified even if located across a number of MSs. In conclusion, the new insolvency rule referred to as Regulation 2015/848 is more than a ‘cosmetic’ innovation as it tries to facilitate cross-border issues but some lawyers think it does not substantially achieve the appropriate unification of EU insolvency law.